"Processed cheese feeds the masses." When one of the most prominent figures in the cheese world said that to me in September, I realized I had never considered that perspective. Instead, I demonized processed cheese. I would even cringe internally at the thought of plastic wrapped cheese slices, lifeless yellow blocks, and their lack of beneficial microbes. Once I fell in love with artisanal cheeses, with the farmers who toil and the animals who give us their milk, I shunned all processed cheese as ignorance of the real thing. I want to blame such a compunction to vilify the things I don’t agree with on the American Christian culture I was raised amongst. (Again, demonizing, I know.) Everything was always black and white, good or evil, yes or no. I realized I had fallen into that same sense of judgement. In the same way I feel that that understanding is misguided, I started to accept that processed cheese is not evil. In fact, it might actually be necessary. And so, on 11/11, Japan’s National Cheese Day, I found myself standing in a very long line headed into the annual "Cheese Festa” held in Ebisu. The yearly event is organized by the Japanese Cheese Importer Association to promote import cheeses and some domestic ones. I attended last year and recognized again that this event was where my drive to start The Geography of Cheese sprang forth. Almost every cheese represented was incredibly processed. Cream cheese from the United States, Gouda from Holland, Feta from Greece, and Camembert from France. There were cheeses imported from countries all around the world, but they were the industrial versions, shrink-wrapped in plastic with no PDO in sight. There were lines out the door with crowd control. 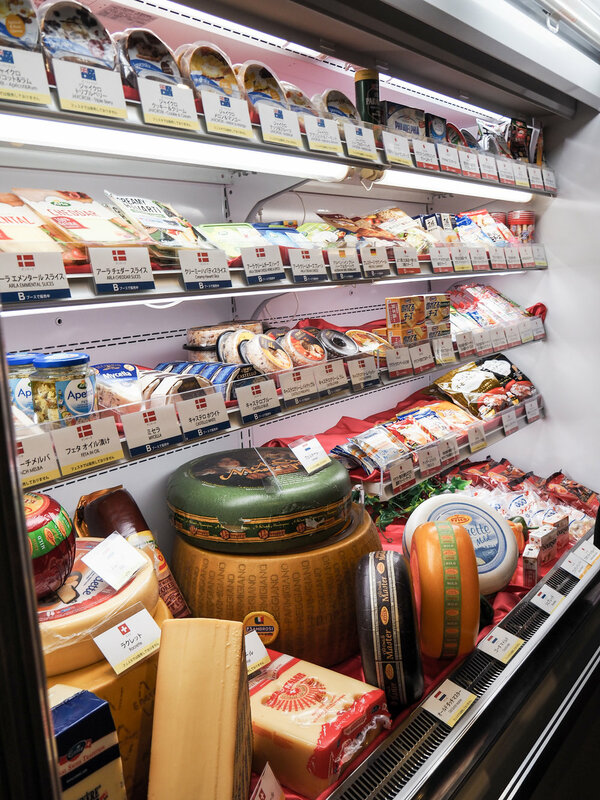 So many Japanese wanted to try, buy, and learn about integrating cheese into their daily lives. That’s why they came! Why was I such a buzz kill? With consideration for the sheer number of Japanese people in attendance, I understood the importance of processed cheese in Japan. It is the first step, the introduction of any cheese into an individual's Japanese diet. Processed cheeses are more accessible with their cheap prices and milder flavors. It is an easy place to start because grocery stores are filled with these options. Once they’ve learned a little, then hopefully they will explore the depths of what cheese can be. The thing I did love at “Cheese Festa" were the booklets about incorporating cheese into Japanese cuisine. The recipes were developed by Japanese chefs and are just the kind of experiment I’d love to delve into myself. Even though they consistently promoted processed cheeses because of their superior melting characteristics, intriguing flavor combinations were suggested that I’d never consider on my own. I spent the day building new levels of understanding and holding back judgement. And still, I went back to my tiny little refrigerator in my small Tokyo apartment and practically hugged the small collection of artisan cheeses I always have waiting for me. The masses can have the processed cheese. I want the good stuff.